Fissure sealants are a great preventative dental care treatment and it is likely Dr Poulos will recommend protecting your child’s teeth with this quick and non-invasive procedure. This treatment protects the chewing surfaces of their adult back teeth. These teeth have lots of intricate grooves and fissures that are difficult to keep clean and so are more likely to develop cavities. 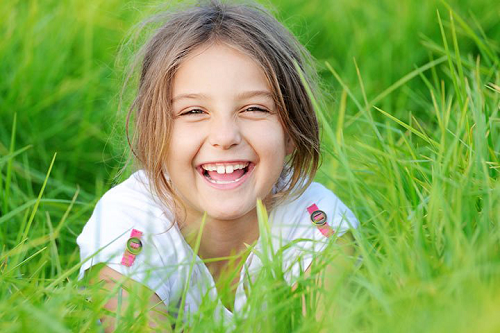 By applying fissure sealants, we can protect your child’s teeth so they remain healthy and cavity-free. Fissure sealants are a layer of very thin plastic that coats the chewing surfaces of adult back teeth. Initially the plastic is flowable as it is painted onto the tooth surfaces where it soon hardens. This creates a protective layer that completely seals the tooth surface, preventing tooth decay. Fissure sealants should last for several years before they need renewing and Dr Poulos will check their condition at every visit.